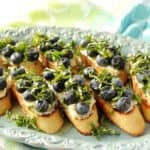 If you have 10 minutes and only five ingredients, you can serve these Blueberry Basil Bruschetta to your friends and family and blow them all away with how delicious, and easy they are. From the first time I ever tried goat cheese, I knew I’d never be the same. With its creamy texture and mildly pungent taste, goat cheese is the perfect accompaniment for some of Mother Nature’s sweetest things like her seasonal fruits and berries. Welcome readers to what I’ve self-proclaimed for my blog as “Berry Week.” I have three very special berry recipes that I’m over-the-moon excited to be sharing with you this week. 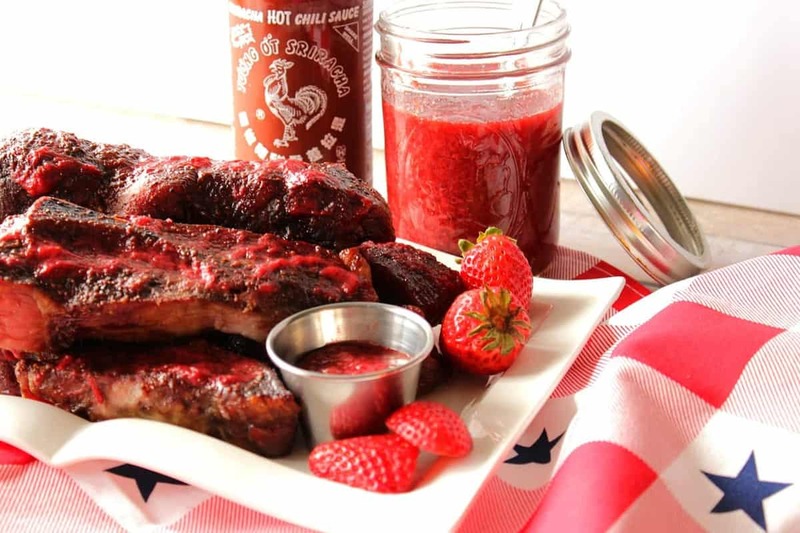 They range from an appetizer (this one for Blueberry Basil Bruschetta) to a Strawberry Sriracha BBQ sauce (for all of your backyard grilling needs), to some fun and patriotic Red, White and Blue Dessert Nachos that will be wonderful to serve on Memorial Day as well as the 4th of July. 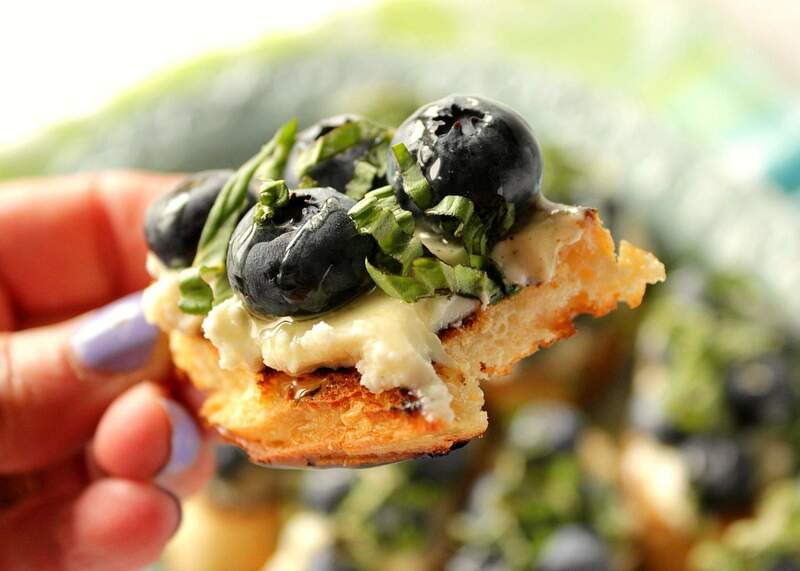 First up, Blueberry Basil Bruschetta. They’re super fast to make and super hard to resist. Trust me when I tell you this. During my photography session, I decided to take one bite (for artistic purposes only, of course), and before I knew it, I was downing the second one with hardly a breath in between. Slice a baguette diagonally, into approximately ½” thickness. Toast the sliced baguettes in a dry skillet until browned. 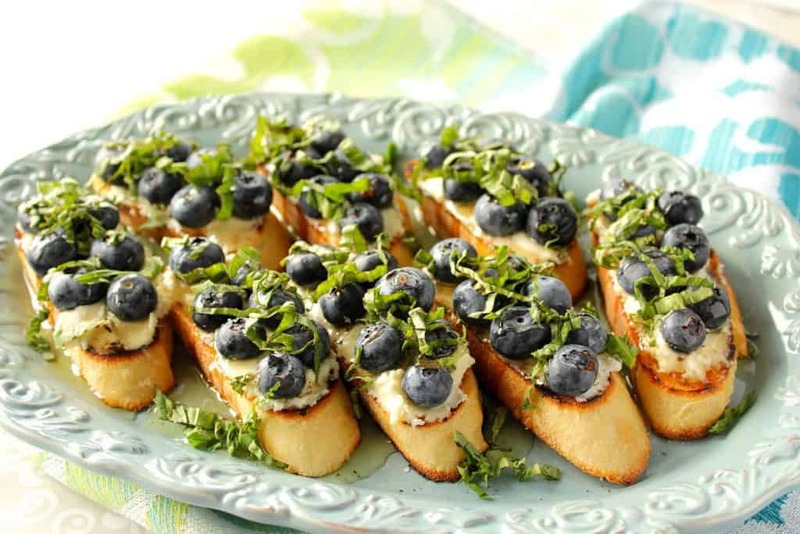 Spread goat cheese evenly onto the toasted baguette slices. Season the goat cheese with black pepper. 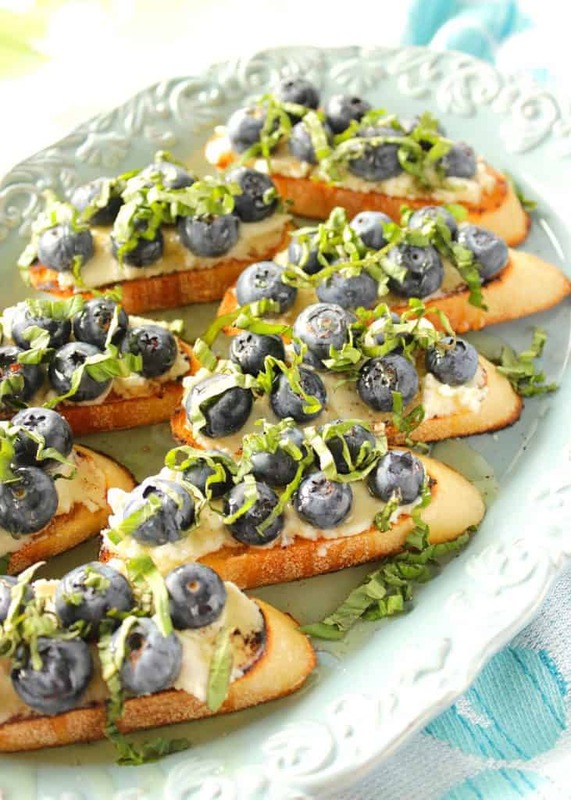 Top the goat cheese with fresh blueberries, fresh basil, a liberal drizzle of honey and a light sprinkling of salt. Serve. Toast the sliced baguette in a skillet until browned and toasted on both sides. Spread the goat cheese liberally and evenly onto the toasted baguette slices. Sprinkle evenly with black pepper. Top the goat cheese with fresh blueberries, pressing them gently in place. 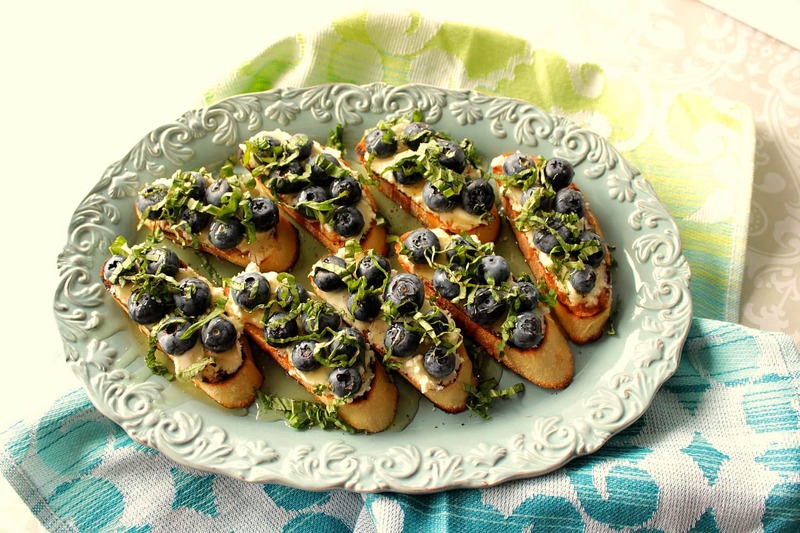 Drizzle each bruschetta liberally with honey. Sprinkle lightly with salt and top with the ribbons of fresh basil leaves. The salt and pepper in this recipe are optional, but they both add great flavor. The following photos are the ones I was telling you about when I took a bite (because I wanted the shot), and then before I could stop myself I quickly gobbled up another because they tasted too darned good. 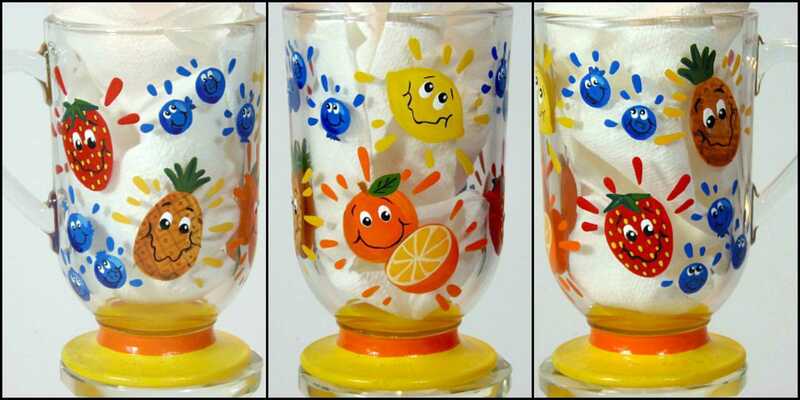 All of my hand painted glassware items are completely dishwasher and microwave safe, as well as being non-toxic. Each glass comes complete in its own gift box making them perfect for giving. Special custom orders are always welcomed and I will happily paint and decorate from any photo, idea, or description you send my way. For additional information and a price quote for your specific design, please feel free to contact me or visit one of my shops: Etsy, Wazala, Kudos Kitchen Paints. Cutest juice glasses EVER! I’m in love! And this blueberry amazingness? Let’s just say I’m really glad I have 6 pounds of bloobs in my fridge! WOOT! LOL. Bloobs! That made me laugh. Thanks, Jenn! I never had goat cheese until a few years ago, Erin. Now I can’t get enough. It pairs really well with tangy and sweet foods because it’s very rich. I cannot wait to have this as an appetizer! They look amazing! Thank you, Meg. I know you’ll love them! Great Summer time appetizer! I cannot wait to try it! Thanks, Krista. I know you’ll love them as much as we do. Yay, berry week! 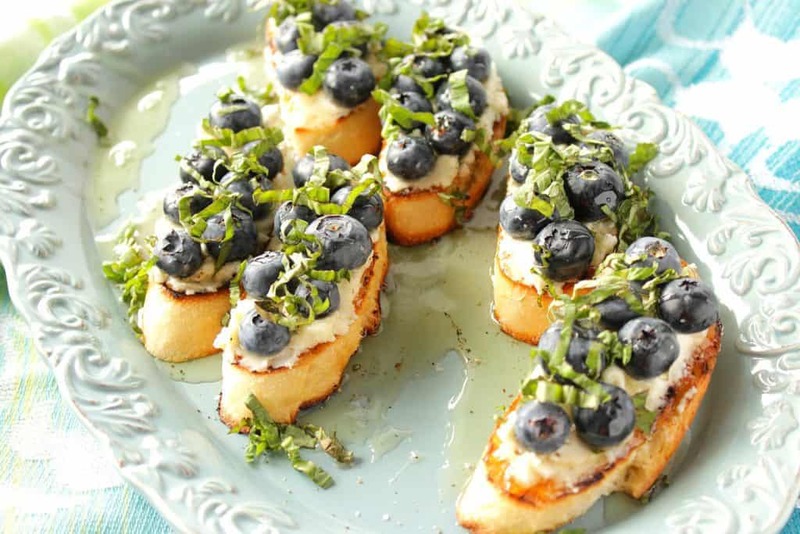 Blueberries are my fave and these look so delightful! I need to try them! Simple and super cute too! Love goat cheese, I dont use it nearly enough! I didn’t either, Brenda. Now I’m finding new and fun ways to incorporate goat cheese more often. It’s so delicious! 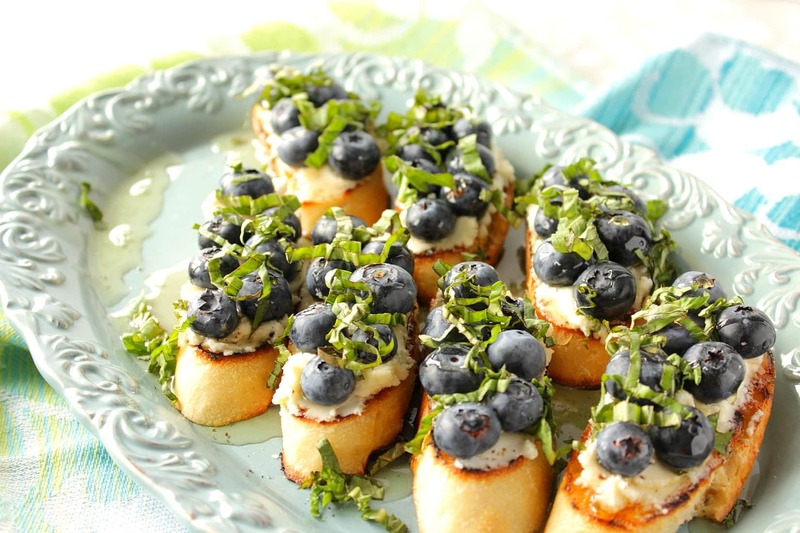 This is such a great appetizer for summer picnics and parties! Love it! I love all of the flavors in this appetizer! Perfect for the summer! So wishing I could reach through my screen and take a bite of these gorgeous treats – they look and sound incredible! This may just be my new FAVORITE appetizer! So pretty! Thanks, Trish. That’s a big compliment coming from you. I’ve been drooling over these little bites since I first glimpsed them on Facebook yesterday — they look great! Thank you so much, Sarah! I find them drool worthy too. Especially once you’ve tasted them! I couldn’t agree more, Carrie. Thank you! Oh my goodness, I LOVE this combination! 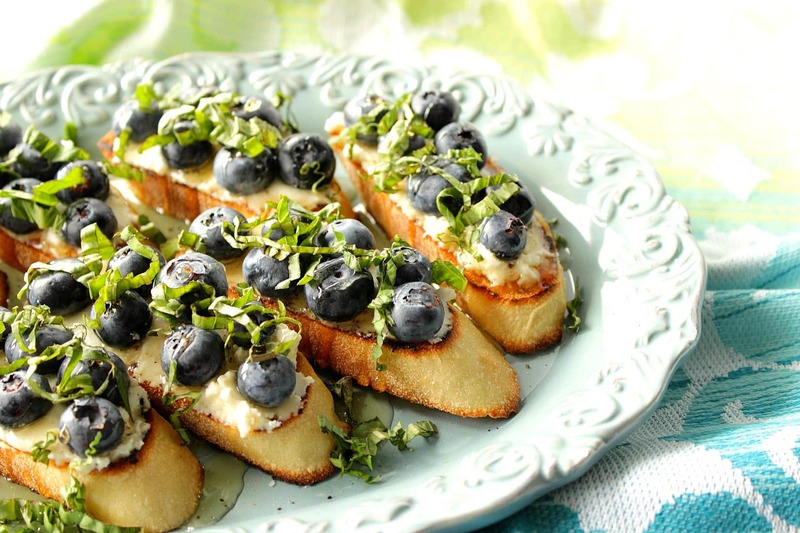 Fresh blueberries and basil and goat cheese…brilliant! I bet the goat cheese and blueberries are just perfect together. 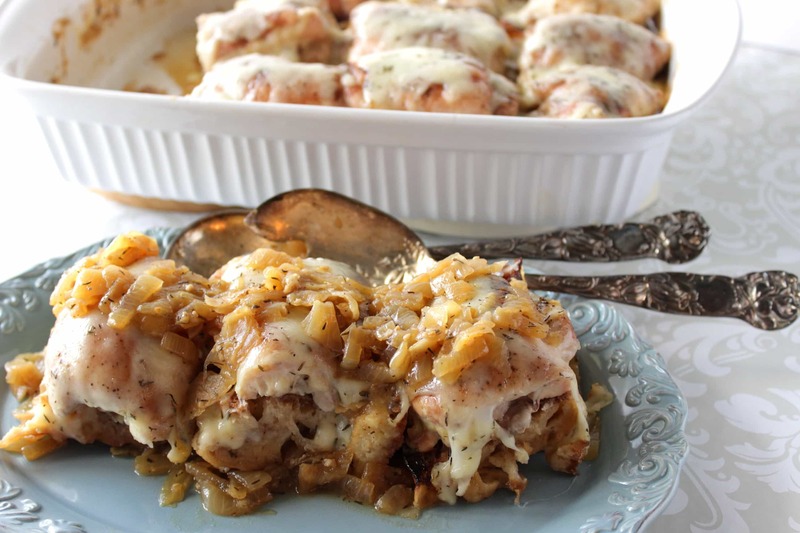 I just pinned this recipe this morning, it’s going to be so tasty when we make it this weekend! I agree, goat cheese is fantastic paired with sweet flavors and fruits. That’s why I am drooling over this bruschetts. These look so amazing. My dad was a huge blueberry fanatic so I’ve grown up loving them. Great touch using goat cheese. Perfection. Dude. 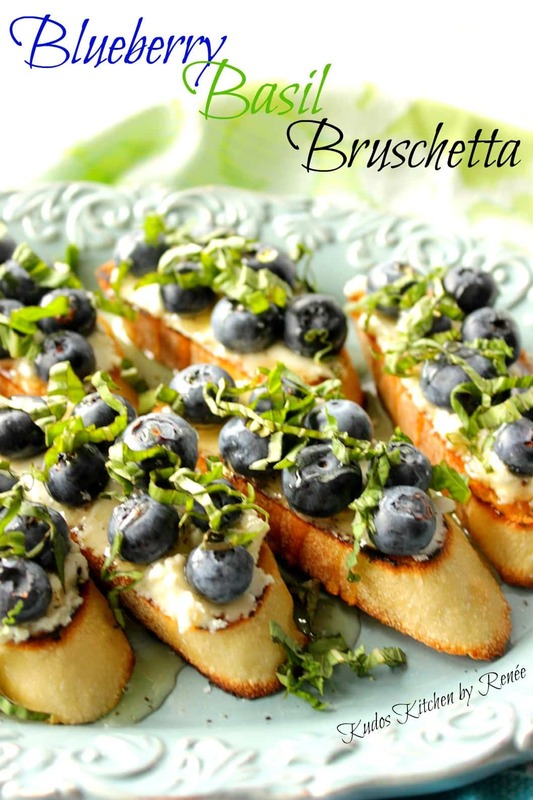 I would totally make a meal of these bruschetta! Blueberries and mint are made for each other.